As the nation celebrated their day off on Labor Day, Agudas Yisroel Zichron Chaim Zvi of Madison was filled with participants of all ages seeking inspiration for the yemei haDin. 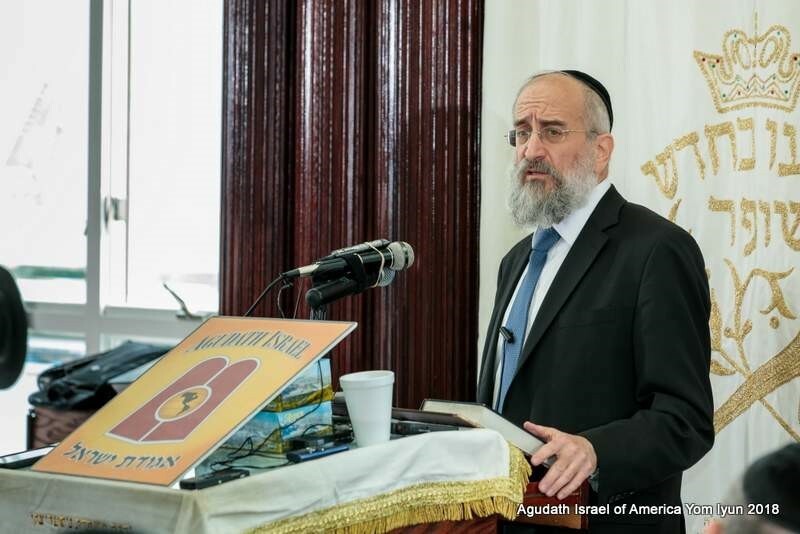 The national “Yom Iyun” event was arranged by the Agudath Israel of America’s Torah Projects Commission in conjunction with Hakhel. The Yom Iyun was broadcast live– with countless virtual participants. Four leading gedolei Torah delved into topics of particular relevance to this period of teshuva and enhanced dveikus to Hashem. The audience remained spellbound from beginning to end. The Mara D’asra and Rosh Yeshiva, Yeshiva Torah Vodaath, HaRav Yisroel Reisman, delivered a fascinating shiur based upon the famous nevius of Yechezkel HaNavi that the “bones of klal Yisroel will become alive.” Rav Reisman explained that this nevius also serves as mashal that Hashem will infuse spiritual life into klal Yisroel throughout the generations. The next speaker, HaRav Elya Brudny, Rosh Yeshiva, Mirrer Yeshiva of Brooklyn, noted that traditionally the most emotional tefillos on Rosh Hashana have been “U’nsaneh Tokef” and “L’keil Orech Din.” These two tefillos do not constitute any specific pleas to Hashem, rather, a recognition of the awe of the Yom Hadin. Rav Brudny cited the words of the Ozorover Rebbe, HaRav Moshe Yechiel Halevy Epstein zt”l, that when one earnestly internalizes the potential of Divine punishment for sin, he is purified as if the punishment were actually given. 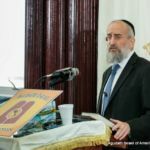 The Rosh Yeshiva cited the words of the Rambam, the trivialities of the times that cause one to forget the truth of the importance of Torah and weaken ones connection to Hashem. Our avodah in preparation of the Yamim Noraim is to refocus ourselves on Torah and ruchniyus, so that we gain a proper perspective of the priorities in life. He recounted the words of his mother, who shared that, as a child, life in her hometown of Telshe would come to a standstill at chatzos every day during Elul – when locals would rush to the Bais Medrash to daven and learn. “Elul makes you a new person with a new value system,” Rav Sorotzkin explained. The final speaker at the Yom Iyun was HaRav Avrohom Schorr, Rav, Khal Nezer Gedalyahu. Rav Schorr expounded upon the passuk, “V’atem hadveikim b’Hashem Elokeichem, chaim kulchem hayom.” He explained that dveikus connotes complete inseparability with Hashem, which can only take place when not “connected” to anything else. A key ingredient to reaching this level of dveikus is the recognition of Hashem’s kindness towards us, without even a subtle level of doubt or complaint towards Him. “This is our avodah now,” exclaimed Rav Schorr.